Truck Ornament Lawn Address Sign - - personalized two-sided address plaque with either one or two lines of personalization and a pickup truck ornament on the top. Lawn mount. Made in USA. Ornament colors: gold bronze, swedish iron, teal and white, red and white, and black and white. 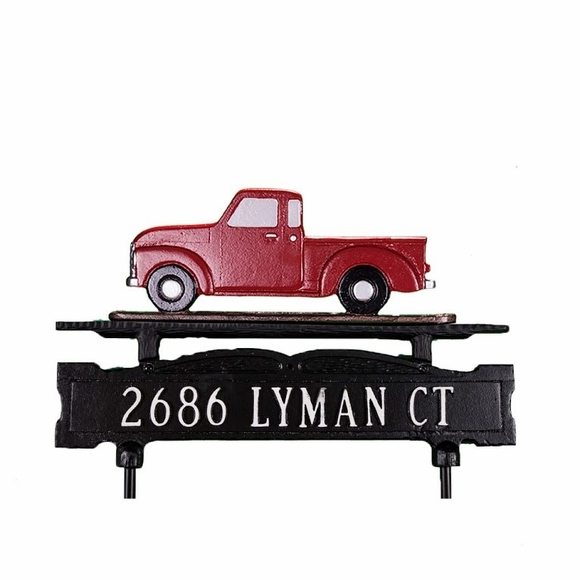 Lawn mount personalized 2 sided address sign with pickup truck ornament and lawn stakes.